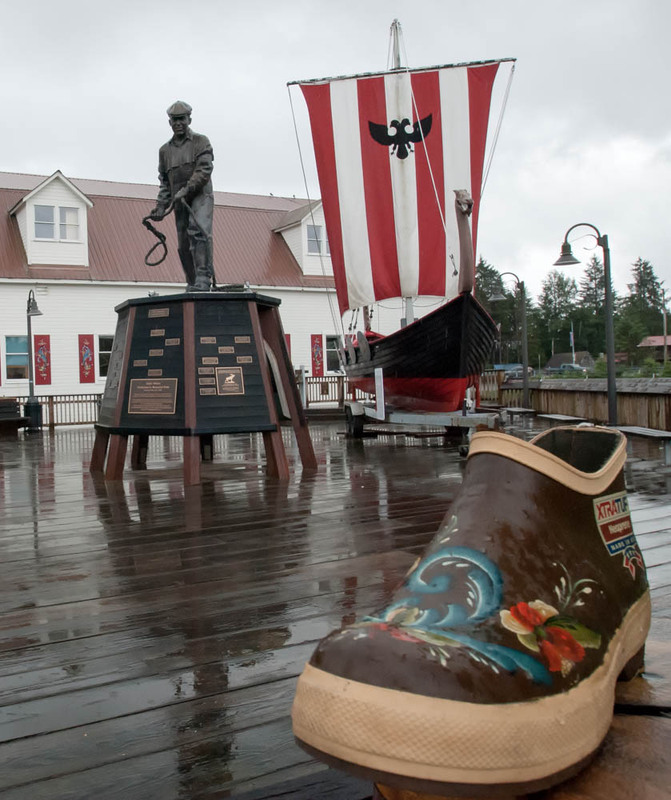 This town is situated along the Wrangell Narrows and can't be reached by the cruise ships. So you won't find jewelry shops here but you will find an friendly fishing town with a strong Norweigan heritage. In fact, they celebrate the Norweigan Independence Day with a festival every year in May. There are many wonderful B & Bs in Petersburg and activities are fishing and visits to nearby LeConte Glacier. The town is in the middle of the Southeast Panhandle and one would think hard to miss - but this bueatiful town manages to be overlooked by most. Look for the largest salmon ever caught at the Clausen Museum. If you guessed 135lbs you would be right. There are petro gliphs and remanents of an ancient fishtrap at Sandy Beach. Drive south on Mitkov Highway and encounter fishing opportunities at Blind River and Ohmer Creek. Across the channel is Petersburg Creek/Duncan Salt Chuck Wilderness area. One of 19 in the Tongass National Forest.